BonBon's Beauty: Beauty Balm Breakdown! 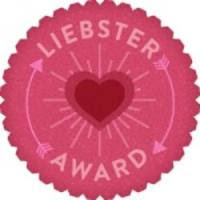 Before I get into the actual post, I wanted to give a shout out to Small Budget Beauty for nominating my blog for the Liebster blog award! This award is for the up and coming bloggers who have under 300 subscribers, and if you win you will then return the favor by nominating 5 other bloggers. Today I'm talking about the hyped up Drugstore BB Creams. Now, I know you've heard of them, unless you live in a pineapple under the sea, so I'm just going to talk about my experience with using them. To start off I just wanted to tell you that all of the pictures on the top are before product application and the bottom are the ones after product was applied. The first of the three BB creams that I tried was the L'Oreal Magic Skin Beautifier(white tube). When I first saw the product, I thought that it looked like white out you would use to fix pen mistakes with. It reads on the label "adusts to skin color". As I applied the cream, it made my skin smooth because of the exfoliant. I was actually liking the way it made my skin smooth and airbrushed. It was great...until half way through the day. when I looked in the mirror during a powder break at school. I was embarrased to find an ompaloompa orange color and an oil slick were covering my entire face. Luckily, I just happened to have a makeup remover wipe in my backpack( I'm prepared for anything) . Let's just say I never wore that out in public again! With the worse BB cream of the three out of the way, next is the Garnier Skin Renew Miracle Skin Perfector with SPF 15. I actually tested this one out at home first :D I loved this one so much more than the L'Oreal bb because it didn't make my skin as oily,oxidize, along with many good things it did do! As I was applying it, I noticed that the color was a little dark for the shade light/medium, but read that it will change to your skin tone just as the others (try to) do. I used to elf stippling brush to apply it and the finished look was glowy and flawless. The perfect amount of coverage for someone with monthly break-outs( which I was currently having :P). I was pleasantly surprised that it didn't oxidize, but it left my face a little too dewy for my combination skin. I loved that it covered the rosacea on my cheeks as well as the pimples and it even made my pimples go away faster than if I would have used foundation. This made my day! I would go further to say that its just as good as my CoverGirl Natureluxe Foundation, but not quite. Last, but definitely not least is the Maybelline Dream Fresh BB. Cream with SPF 30. First of all I want to say that this or any amout of SPF in any foundation, cream, etc.. just will not be enough so if you are in the sun alot, don't forget to use an spf under this. On to the review...For this bb cream, my initial reaction was that it is my perfect shade(medium). I loved how creamy this was but it also felt light. This bb cream did dry my skin, but if using moisturizer it is perfect! It too seemed to allow my pimples to clear up faster than when wearing foundation and wasn't too dewy. After application my skin was smooth and looked like it was my second skin, but doesn't conceal as much as the Garnier bb cream. All-in-all, my favorite was a toss up between the Maybelline and Garnier bb creams. They both had different cons, but neither one was bad enough to not wear everyday. What one is your favorite? Do you think that the Asian BB creams are better? Are you ready for CC Creams? Don't forget to subscribe and check out my youtube channel for a more descriptive review!